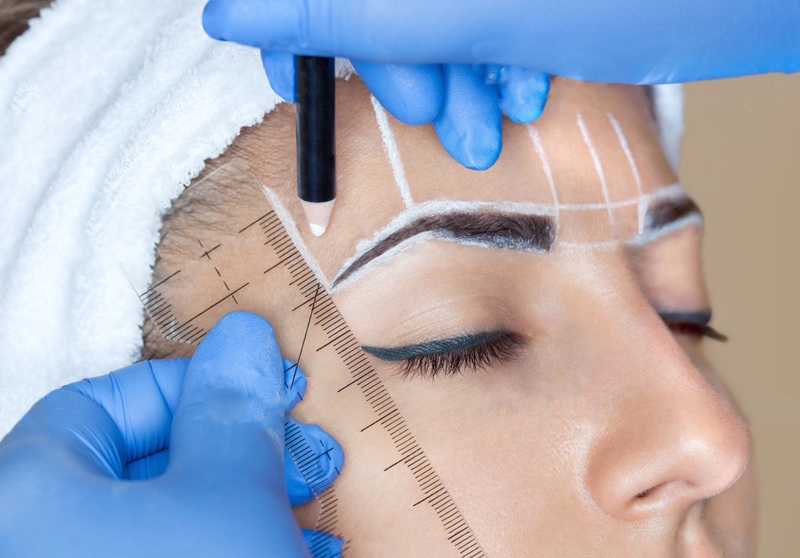 What is a Feather Stroke Tattoo / Microblading? Fine strokes that mimic hair are micro-pigmented into the outer layers of the skin we aim for a very natural look. You must be 18 years or older to get a Feather Stroke Tattoo treatment. If you are younger than 18 you are legally asked to provide a consent of your parents. How long do Feather Stroke Tattoos last? The used pigment – the darker the pigments are the longer they will last: Black or dark brown shades will last the longest, blonde ones usually need refreshing after around 6-8 months. Who benefits the most of feather brow tattoo? A full set takes between 1-1.5 hours depending on your type and size of eyebrows. Infillers, however, only take about 1 hour. When you make your appointment, we will discuss the time needed and make sure there is plenty of time for you to ask questions and for us to discuss the look you are after. Does tattooing your eyebrows hurt? The level of pain is so minimal as your Lash haven therapist will be applying the strongest strength numbing cram legally allowed for use in Australia. You are initially more likely to feel a slight pressing still but not pain. I changed my mind – is feather stroke permanent? The feather stroke technique is not permanent this is the beauty of this treatment it allows us to vary the shape slightly as you get use to wearing them making them thicker or longer or higher arched. You can also let them fade away and they will completely disappear. How do you find the perfect shape and colour for my eyebrows? 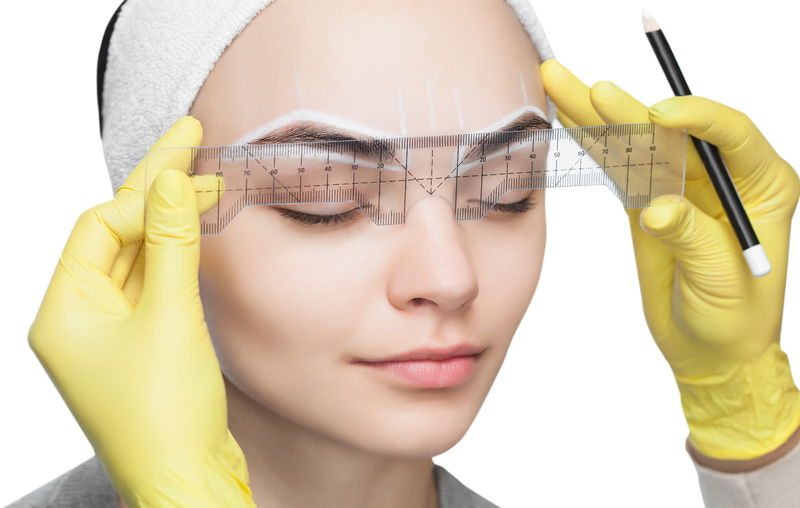 We use basic guideline principles to design the perfect eyebrow shape to each individual shape and face by measuring the spacing and relationship between angles of the face and the nose and eyes. Therefore, a “perfect brow” is designed for each face individually with your original hairs and features in mind. We choose the colour for your eyebrows based on your hair, eye and skin colour, such as your personality and personal preference. We offer a large range of pigments and are also able to blend 2 or more pigments together to customize a colour for you. What is the after treatment like? Slight redness, swelling, tenderness and itching is common to show up after a Feather Stroke Tattoo application. It normally goes down within a day; however, it can last up to a couple of days. We recommend applying a cool compress for 10minutes hourly after the treatment and to not exercise for the following 24 hours. Also, do not expose the area to intense heat (e.g. solarium or sauna). Avoid pressure on treated areas for the first few nights. Also, don’t drink alcohol for 24 hours. Do not use AHA, Retinols/Vitamin C therapy or oil-based make-up for 24 hours. Avoid facials, facial waxing, Glycolic or AHA peels, IPL or energy-based treatments and microdermabrasion for two weeks after treatment. Full eyebrows start from $300, infill $200. A touch-up treatment will be required this time will vary any where from 6 months to over 12 months. I would like further information – how can I contact you? At Beauty in Health we believe in perfection. We specialize in the art of eyebrow styling and have clients travel from the other side of Sydney just to have their eyebrows expertly styled. Many clients have had bad eyebrow experiences with eyebrows being over plucked or waxed or tinted too dark or perhaps being poorly shaped and unbalanced. At Beauty In health we put you at ease with an initial consultation to understand the look you want to achieve. For clients who have had bad eyebrow experiences we understand the stress involved in trusting someone again as eyebrows can take a long time to grow back. Your eyebrows are done in stages; you are given a hand held mirror which gives you the ability to control of the style, thickness or shade of your eyebrows. 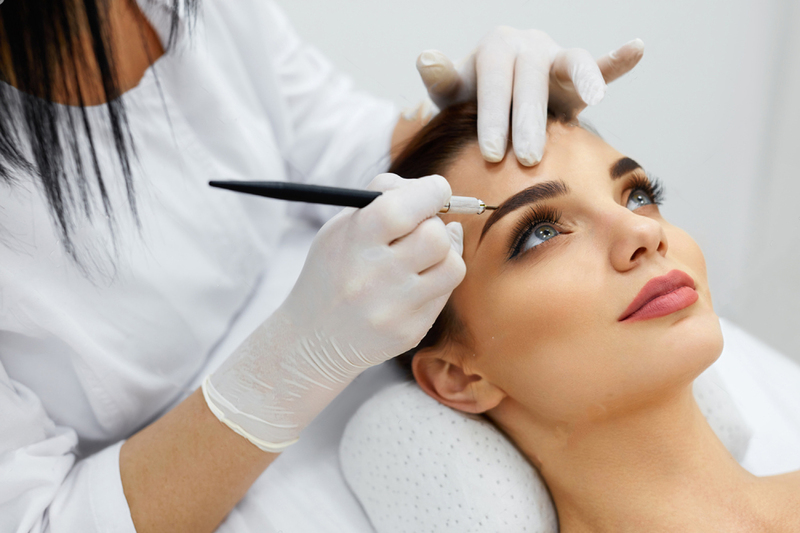 When we are changing the shape of your eyebrows we can grow them back gradually avoiding the messy period that stops clients from considering a new and improved shape and look for their face. So enquire now about Beauty in Health’s eyebrow services for a new gorgeous look!